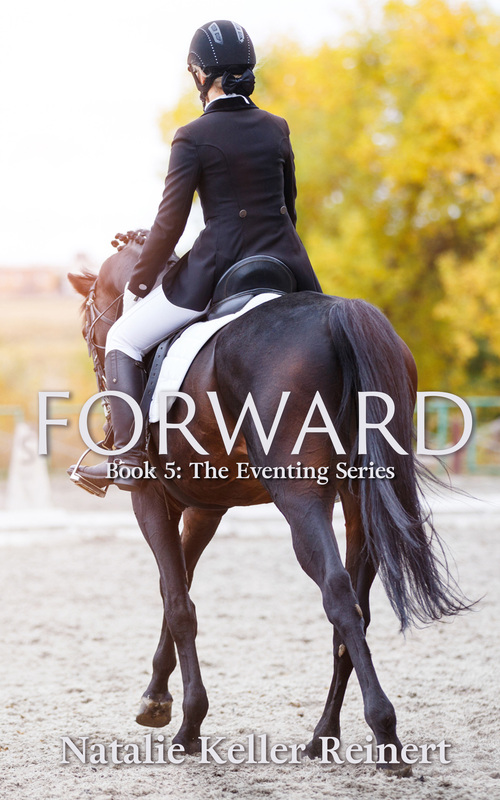 It’s time for Book 4 of the Eventing Series! While Ambition, the first book, is still racking up week upon week as one of the best-selling horse books on Amazon, I’ve been getting book 4 together for readers. Why else would I do with my holiday break? The cover of Luck is a departure from the rest of the series, which all feature the faces of horses. But I think if you look carefully, you’ll see why this cover is absolutely perfect for the title. Does that give away too much? Not enough? It’s hard to say. There’s a lot of drama surrounding Mickey, and Jules finds herself making money in a way she swore she never would, and there are a few dashes of Grace and Alex in the mix as well. Basically, if you’ve read Ambition, Pride and Courage, you’re going to want to catch up with everyone on a quick re-read, and read Luck next! Luck is available for pre-order through Jan. 11, 2018 in the Amazon Kindle Store. Pre-orders will download to your Kindle or Kindle app for your smartphone, tablet or computer on Jan. 12, 2018. That’s also the date you can begin reading Luck for free with Kindle Unlimited! Waiting of the paperback? I agree, paper’s best. But you’ll have to wait just a little longer, as they also take longer to produce. I promise to update you as soon as paperbacks become available. As with all my books, when you purchase a paperback through Amazon, you’ll be able to download the Kindle edition for free. View Luck: The Eventing Series Book 4 at Amazon. 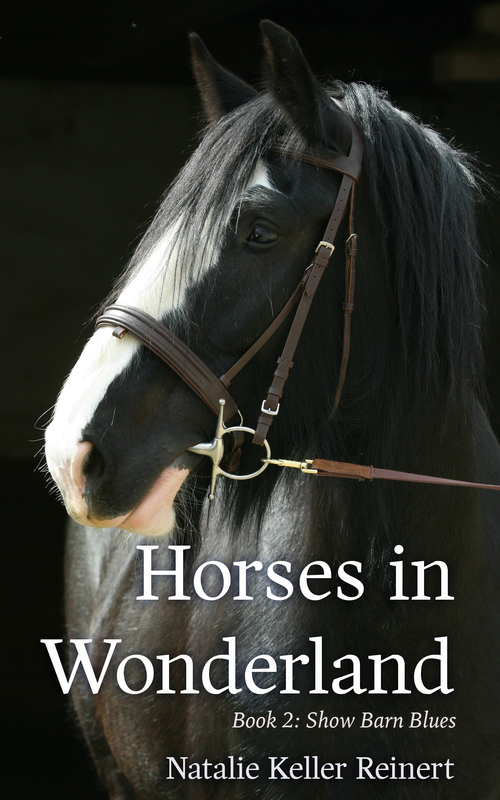 Are you ready for the latest update on Jules, Pete, and the horses of Briar Hill Farm? Good news – Courage is coming! I have details for you on the story-line, release date, when you can pre-order your Kindle edition, and, of course, the gorgeous cover! We last saw Jules and Pete at the end of a long hard summer of apprenticeships. Pete spent the summer in England; Jules at a show barn outside of Orlando. Neither of them came back exactly the same as when they’d left, and now, they’re not sure where they stand with one another. There’s also the looming question of who owns Briar Hill Farm, the sprawling eventing wonderland where they’ve been training under the not-so-gracious permission of Pete’s grandmother. With her sudden passing, there are legal questions about how binding her arrangement with her grandson was, leaving Pete and Jules wondering if they and their horses are on the edge of eviction. At the same time, they’re on the hook for the enormous upkeep bill of the property for the first time. Still, there are always horses to ride, always events on the horizon. In Ocala, there’s one surefire way to make money when you’re facing insurmountable bills: racehorses. One thing though… training racehorses is not like training ex-racehorses. And Jules isn’t so sure this galloping lark is going to work out–until she meets Alex. For three-day event rider Jules Thornton, courage means riding her horses forward through the most daunting cross-country courses in the sport. She’s already proven she’s willing to whatever it takes to make her name as an eventer, even spending the summer in an intense dressage program. Now she’s back in Ocala and ready to tackle the winter eventing with her usual bravado, but neither she nor her partner, Pete are ready for the next struggle the eventing gods have cooked up. Their farm is locked in a legal battle, their income depends on galloping racehorses, and Amanda the Hunter Princess is way too friendly with Pete for Jules’ tastes. 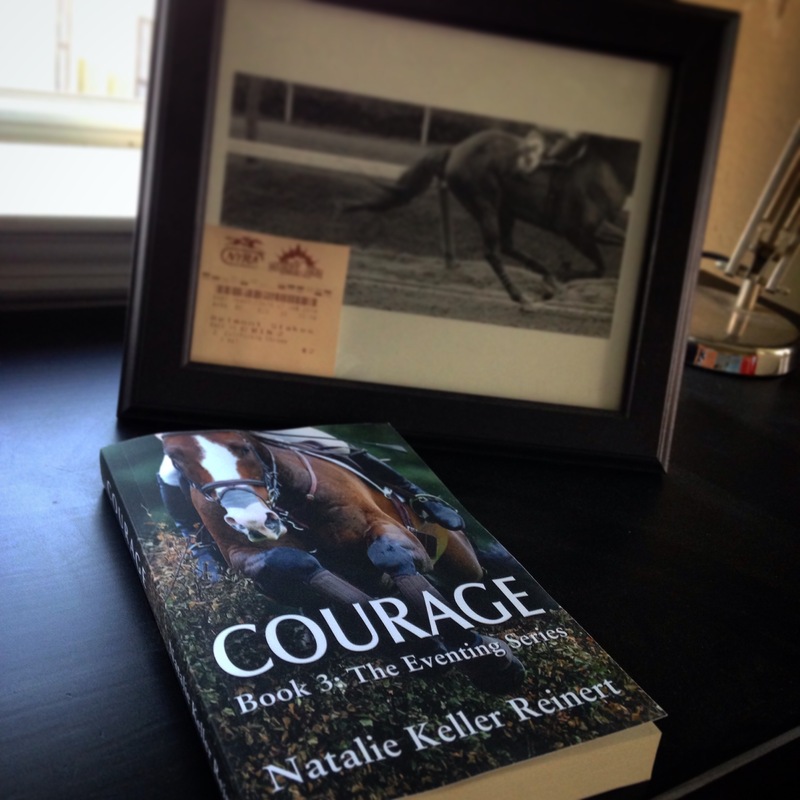 You can add Courage to your GoodReads to-read list by clicking here. Courage will be released on February 21st. You can preorder the Kindle edition here. A paperback will also be available. Paperbacks purchased through Amazon will include a free download of the Kindle edition. Watch here for an exciting new way to experience my books, or make things easy and subscribe to my mailing list for details in your in-box. Oh… and here’s the cover. What do you think?